The preserve is one of the treasures of the Washington area; a magical place to hike, walk a dog, ride a horse or simply appreciate nature. We are so lucky to have so many talented local volunteers who work tirelessly to maintain Steep Rock for us to enjoy. 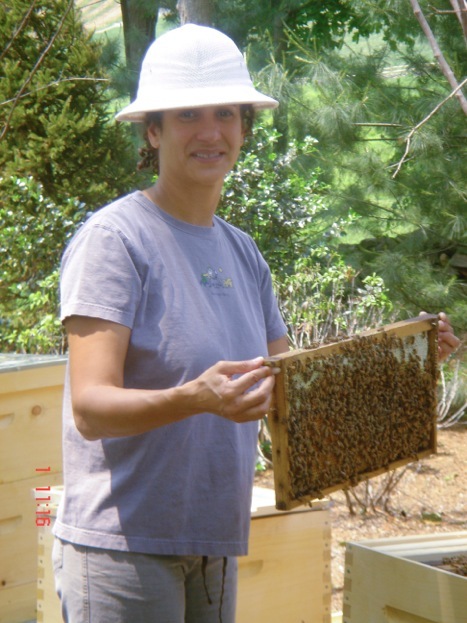 The chair of the Steep Rock Association board, our friend Kirsten Feldman, has initiated the Steep Rock Honey Project which maintains and harvests raw honey from different areas in Washington, CT. There are hives in seven locations in the Town of Washington. Each one has its own microclimate, soil and flora. These include Macricostas Preserve, Lake Waramaug, West Church Hill Road, Nichol Hills Road, Hidden Valley Preserve, Plumb Hill Road, Shearer Road and one is planned in the Steep Rock Preserve for 2016. The delicate hint of wildflower wetlands, lavender bushes and a mature linden tree are just some of the different environments that make each batch have a unique taste and aroma. Just like other members of the community, Kirsten enjoys the beauty and open spaces of Steep Rock. 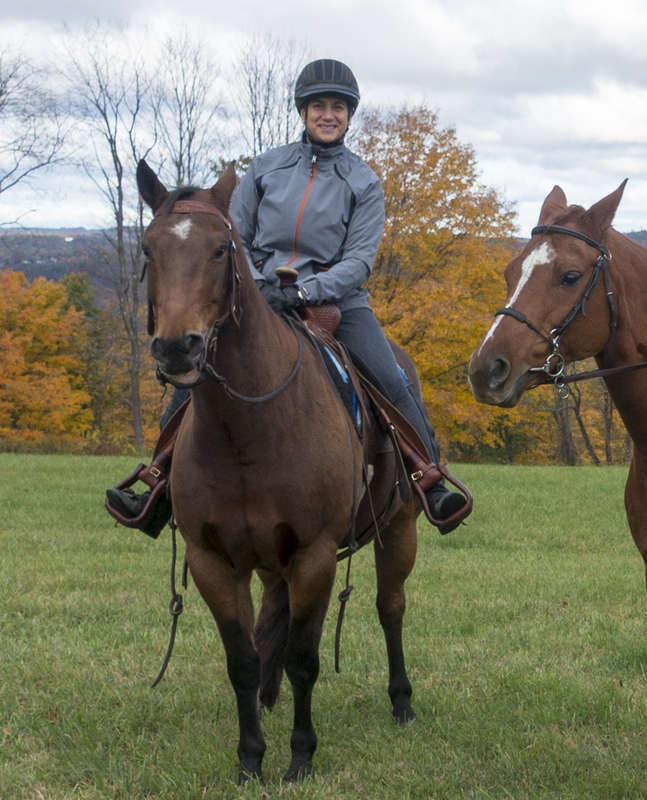 She often rides her horse or hikes on the trails and is inspired in her commitment to preserving them for the future. Steep Rock seems to be a very special place for you, can you explain why? Having hiked all over the world, I appreciate how fortunate we are to have Steep Rock in our back yards. With the three distinct preserves (Steep Rock, Hidden Valley and Macricostas), I can hike in the woods, along a river and up to three different pinnacles, each with spectacular views. The experience is also different in each season. I never get tired of these hikes and I never take it for granted. This was the first season of selling Steep Rock honey during the holiday period. Was it successful? Our first season was a tremendous success. Our initial supply of honey was somewhat limited and we sold out in the first two weekends of December. As our hives mature, we will have more honey to sell each holiday season. We even mailed bottles of honey to a Washingtonian living in Arizona for the winter who wanted a "taste of Steep Rock"! The project contributed over $3,000 to Steep Rock from the small 2014 vintage of honey. Also, because we harvest once per year, our honey reflects a full year of nectar from the Town of Washington. It truly is delicious! The bottling and logo are very distinctive, who came up with the creative concepts? I collaborated with Abbie Zabar, a noted author and designer. Our goal was to create packaging that was evocative of Steep Rock and the hand spun, artisanal nature of the product as well as being a special holiday gift. I believe that local honey is like fine wine and we endeavored to present it that way. What are the future plans for Steep Rock honey? We anticipate having a somewhat larger supply of honey in 2015 if all of our hives make it through the winter and we don't lose many to bears. While our plan is to sell the honey only during the holidays, honey lasts forever and it can be used for hostess gifts all year long. Our goal is to raise at least $10,000 per year for the trails and to have honey be to Steep Rock as cookies are to Girl Scouts! While we want to satisfy our local customers first, it would be most exciting if we discovered demand for our honey beyond the borders of Washington. There seemed to be great support among the local merchants, can you elaborate on that? Our retail partners supported the effort by selling the honey with no profit (retail markup) to themselves. Special thanks to J. Seitz & Co., the Hickory Stick Bookshop, Nine Main and the Community Table Restaurant. As a result, all of the proceeds from sales went directly to Steep Rock. In addition, numerous local businesses purchased Steep Rock Honey as a local corporate gift for their clients. We have had a number of organizations ask us to accept pre orders of the 2015 vintage, which we will do. Here is a photo of Kirsten at work with the hives. We are so proud to be a part of a community with so many passionate, creative and committed individuals. It is also truly remarkable that our local stores took no mark up to ensure that 100% of the profits go directly back to fund the preserve. To read more about the Steep Rock Association, click here.